Life is not always happy in the Valley. Despite the fun of the Wednesday races, convenience of three lively pubs, and the swankiest Park ‘n Shop this side of the Peak Galleria, the little neighbourhood that could still lacks a little something. Specifically, a cosy little bistro where one can while away the hours, tuck into a menu of comfort food classics, and read the Sunday newspaper in peace. Alas, Gusto is not that place. It certainly looks the part, occupying the ground floor of a six-storey residential block, recently converted into rather expensive serviced apartments (yours, for a mere $33,000 per month). 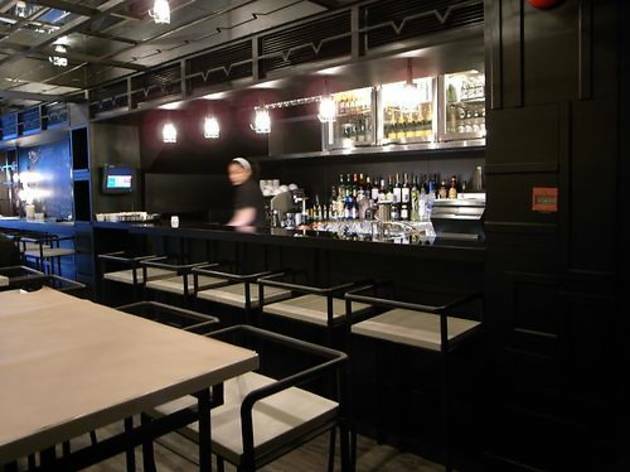 Beyond the building’s black-coloured facade, the café’s interior is a sleek blend of warm lighting, metal accents, and smooth jazz – their blurb describes them as New York-style, and it shows. But looks can be deceiving, as with the menu. 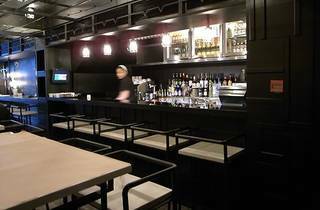 To begin, with sandwiches and salad prices ranging from $70 to $85, Gusto ain’t cheap – and for this kind of money you expect a little more bang for your buck, and you expect to be full. The Portobello Philly ($70) and Cobb salad ($80) missed the mark on both counts. The Philly was of snackable size, but certainly not enough to fill up a hungry Valleyite, while the Cobb salad was unfortunately smothered in a mayonnaise-influenced sauce, not presented in its component parts as is tradition. It, too, came in a small-sized portion. In fact the only highlight were the S’mores ($45), toasted marshmallows on top of his and hers gingerbread men (with mint strategically placed to indicate gender). G/F, 41 Yik Yam St, Happy Valley, 2839 2689. Daily 11.30am-close. Meal for two: $450.